Mores Creek Summit Backcountry Skiing: Post Christmas Present - Wx Change = SNOW! Late Christmas Present is coming! 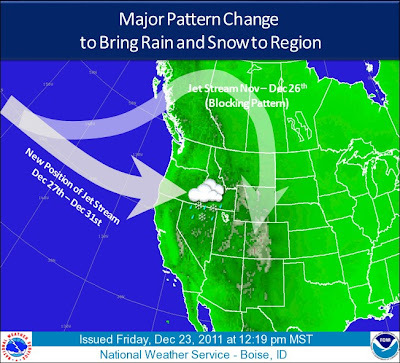 A major weather pattern change will shift the jet stream further south bringing a good chance of rain and snow to the region between Christmas and New Years Day. Expect accumulating snow in the mountains and rain in the valleys beginning on December 27th. IDAHO...WEST CENTRAL IDAHO AND NORTHEAST OREGON. NIGHT THROUGH THURSDAY. HEAVY SNOW IS POSSIBLE ABOVE 5500 FEET. Be mindful that NEW snow will be falling in top of a very weak snowpack. Pay attention to wummpfs and collapses. Do not ignore avalanches, even small ones at road cuts on your way to your favorite ski touring destination. 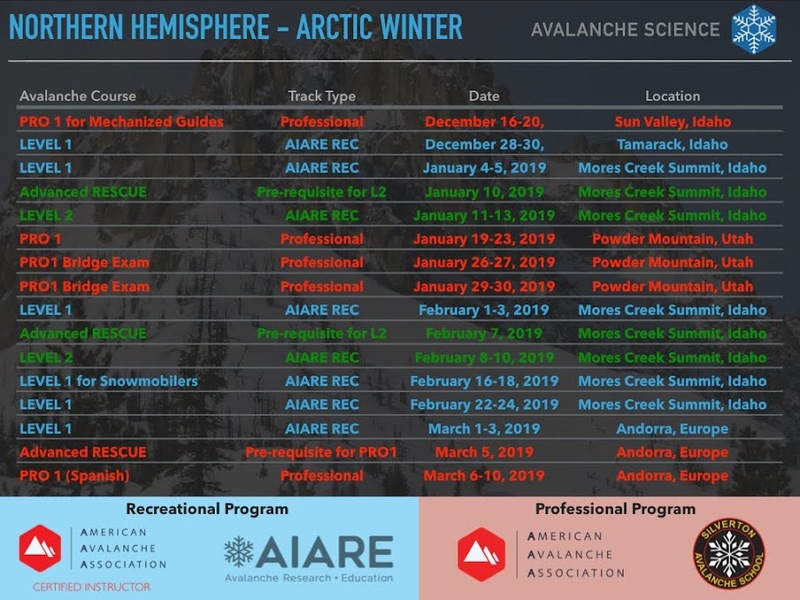 The snowpack in our region is heavily facetted and it will be experiencing changes in temperatures and loading (rain, new snow, wind transported snow, total storm snow deposition). Remember, the new NEW snow will become a slab in top of a weak layer of facets. Snowpacks becomes reactive when experiencing fast strain rates. And this weather change promises conditions that will strain the snowpack. We will know by next weekend how much backcountry skiing and ski touring will improve with more snow. Below the outlook for the next weekend, if these prediction holds we should see more snow through next weekend.